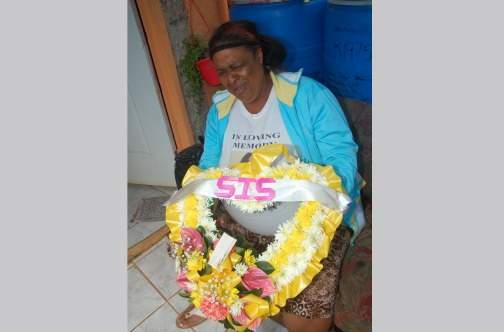 After a relatively short but debilitating battle with stage 3 breast cancer, all the relatives of 48-year-old Sandra Rhone wanted was to ensure that her request to be laid to rest beside her mother at Melrose Cemetery, in Manchester, was granted. “We are confused, we don’t know what to do,” one of her sisters, Joy Plummer, told the Jamaica Observer at the family home in Barnstable, Manchester, yesterday. Clutching a wreath that the family was unable to use, Joy Plummer breaks down in tears while talking to the Jamaica Observer. 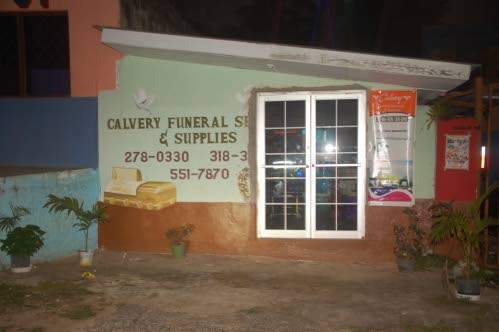 The office of Calvery Funeral Service and Supplies in Williamsfield, Manchester, Jamaica. She said Rhone’s children, who travelled from Kingston, made it in time for the burial and insisted that they wanted to see their mother one last time. When they saw the body they confirmed that it was not her, even though she was wearing the wig and dress given to the funeral home for Rhone to be buried in. Sandra Rhone’s sister, Audrian Plummer, is a picture of grief yesterday as she reflects on the error made by a funeral home in cremating her sister’s body. They said that when Rhone died she was totally bald because of the chemotherapy and the woman in the casket had hair when the wig was removed. Also, when they tried to look for a tattoo that was on one of Rhone’s feet it appeared that the woman it the casket had no feet. 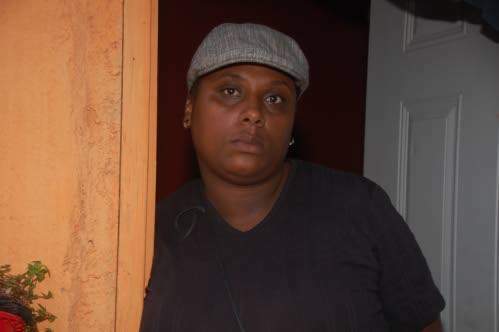 The Observer was told that one of Rhone’s daughters had to seek medical attention at Kingston Public Hospital after hearing the news, and although she was not admitted is still not doing well.